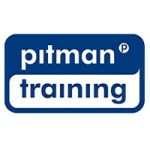 Medical Office Award is course run by Pitman Training Centre (Mullingar), Westmeath. It is a 'Blended - Mix of Classroom & Online' course with a duration of 55 hours or 2 weeks full-time study. Medical Office Award gives a Course Qualification of Award. For more information about Medical Office Award at Pitman Training Centre (Mullingar), please review the details below. The Medical Office Award course at Pitman Training Centre (Mullingar) is listed in Courses.ie's national courses finder.